In ancient times, Kim Shin (Gong Yoo) is an unbeatable general in wars, but the young King (Kim Min Jae) is jealous of Kim Shin and kills him. 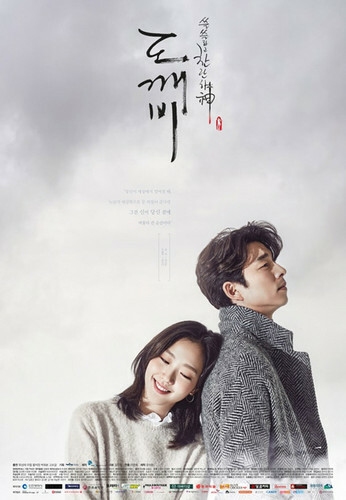 Kim Shin becomes a Goblin, possessing an immortal life. At first he thinks that he is blessed, but he realizes that he is cursed. Closer to the present day, Kim Shin has waited 900 years for a human bride to end his immortal life. One night, he saves a dying pregnant woman (Park Hee Won) who is destined to die. Meanwhile, the Grim Reaper (Lee Dong Wook) is unable to find the dead pregnant woman. The woman gives birth to a baby girl named Ji Eun Tak (Kim Go Eun). 9 years later, Ji Eun Tak lives with her mother and is able to see ghosts. One night, her mother suddenly dies. On that night, she meets the Grim Reaper. In the present day, Ji Eun Tak is a high school student. She still sees ghosts and hears their whisper of “Gobins bride”. She now lives with her aunt’s family, but she is mistreated by them. On her birthday, Ji Eun Tak sits by the sea with a lighted birthday cake. At that time, Kim Shin suddenly appears in front of her. Kim Shin does not know why, but he can hear her voice and appears in front of her against his will. So 2016 ended and 2017 started with TvNs new record-breaking drama, Goblin. I have to say, it was one heck of an emotional drama. It’s ALL about emotions, it’s a simple story. Everything had a purpose, and it gradually expanded to a problem, and then the journey for the solution. So story-wise it’s good, but the action and excitement is missing. However, the key function (I personally think) is that the writers were depending on the viewers emotional needs. And by that I mean that the actors and actress’ for this drama, was carefully handpicked because it needed a lot of face-acting. Emotions had to be carefully delivered. And they did. I have never been so sad and so happy and excited for a drama as I was with this one. It’s right to say that I couldn’t get over it, a long time went by before I started on another drama. As great as it was, it still had its flaws. For me a lot of flashbacks ruins the storyline. I would rather they used an episode and just showed us the story what happens, it doesn’t have to be in the beginning, just so we see it one time and not a trillion times throughout the drama. Because the same scene from the past got repeated multiple times, then comes the next bit and etc etc. However a great watch, definitely going to watch it again when my heart is healed.